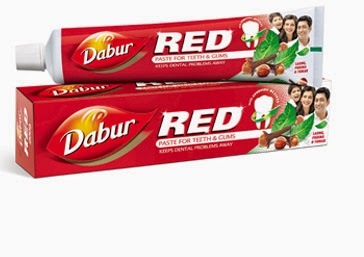 After my visit to the dentist, I came to know about #TheRedDare an ongoing campaign by Dabur to promote oral hygiene. I understand there is nothing more painful like tooth pain so, I accepted to promote this noble cause of oral hygiene. My mother says you should brush your teeth twice a day but Dabur says you can brush your teeth anywhere, anytime and at anyplace. I obey my mother and agree to Dabur as well. I accepted the challenge of brushing teeth in public place. I got my RED PACKET from Dabur which gave me choice to take up dare at various public locations. Seven options for seven days and I choose first one which is “At a mall/shopping complex” so I went to flea market place to take up the challenge. Here is my video where I take up the #TheRedDare. If you want to be a part of this campaign and contribute to noble cause of oral hygiene then just WhatsApp your address on number +91-9910818814 to get your #TheRedDare box and carry out the challenge. 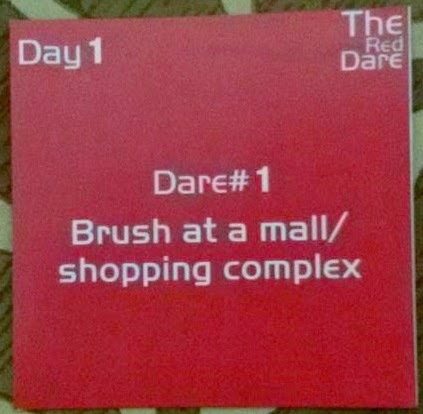 #TheRedBox contains Dabur red toothpaste and details of the dare. So guys go ahead and take up this exciting challenge. Trust me its FUN! Haha such a fun challenge! Great job!